Address: 207 E. Buckeye Rd. The 2010 Dodge Ram 2500HD is a heavy-duty version of the Chrysler full-size pickup truck family. As such, it gets distinct engine, transmission and other performance options--all to give it superior towing and hauling capability. 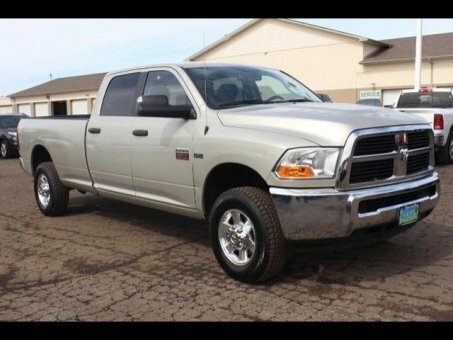 The 2010 Dodge Ram benefits from a full list of safety gear, including dual front and side curtain airbags, and four-wheel anti-lock brakes with traction and stability control. The truck gets five stars for front impacts from NHTSA (National Highway Traffic Safety Administration) and a four-star rollover for 2WD trucks' rollover protection (three stars for 4WD models). No side-impact tests have been performed by the agency. The IIHS (Insurance Institute for Highway Safety) called the nearly identical 2009 model "good" for front impacts and "marginal" for side impacts. Like most trucks, the Ram doesn't offer advanced safety options, though the rearview camera is a welcome option, given its size. Passive head restraints are newly standard for 2010. Visibility can be poor, since the Ram sits so high, but big folding trailer mirrors are now offered, as is a trailer-brake controller.